ca 580 - 570 B.C. 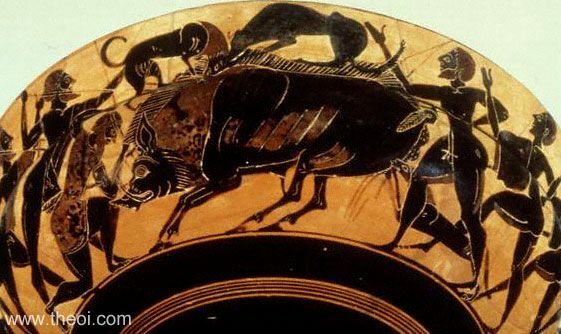 Side A: The heroes and hounds of the Calydonian boar hunt battle the beast sent by the goddess Artemis to ravage the lands of King Oeneus. Side B: Battle of the Lapiths and Centaurs (not shown).